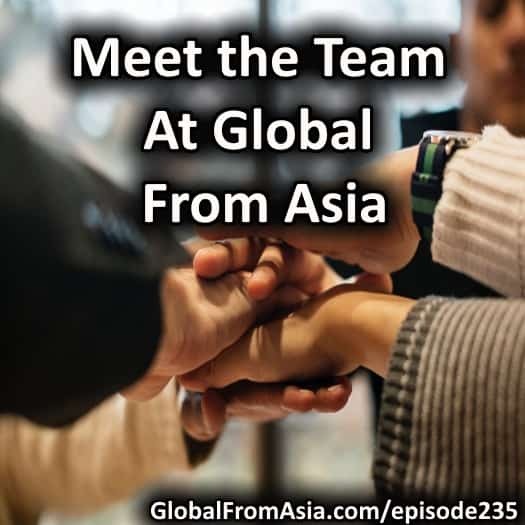 Today’s show is a different style – we are taking small clips of various team members and going “Behind the scenes” at GFA to see who is doing what and what we are really working on all day. We are fully online – and it is an amazing thing that made my move from China to Thailand a lot less stressful – at least business wise. So let’s celebrate working online and have you listen in on some small clips of SOME of our GFA team (technically Shadstone Limited is the corporate umbrella’s name). I tried to get more of the team – but due to timezone – microphones not working – as well as shyness – we had to miss some people. Thank you – the team is rocking. Sorry we couldn’t get everyone on the show – things are moving fast.